What is the Red Zone Channel? What if you can’t watch every game at the same time? See, most of us have a dilemma when it comes to Sunday football. We may have enough TVs to watch three or four games at the same time if we use every phone and tablet we can, and maybe add another six if you count the NFL Game Mix channel, but it’s not going to be easy to watch every single game . Even sports bars can strain to keep up. So what can you do? That’s where the Red Zone Channel comes in. For better or worse there’s a lot of downtime in football, and so the Red Zone Channel cuts all that out. It only shows you the significant plays as they’re happening. When a team is hot, when they’re on a drive, and especially when they get in the red zone — when they’re about to score — you’ll see those plays on the Red Zone Channel. It’s the way to get nonstop action, all in one place. If you have more than one TV in your “mancave” you’ll want to keep one of them on the Red Zone Channel, simple as that. The Red Zone Channel is part of DIRECTV’s NFL Sunday Ticket Max package, which lets you watch and stream every game, every Sunday. It’s also available from other providers, but those providers won’t give you the full Sunday Ticket experience. It’s provided by NFL Network, and so you know it’s going to be run by people who know what they’re talking about. 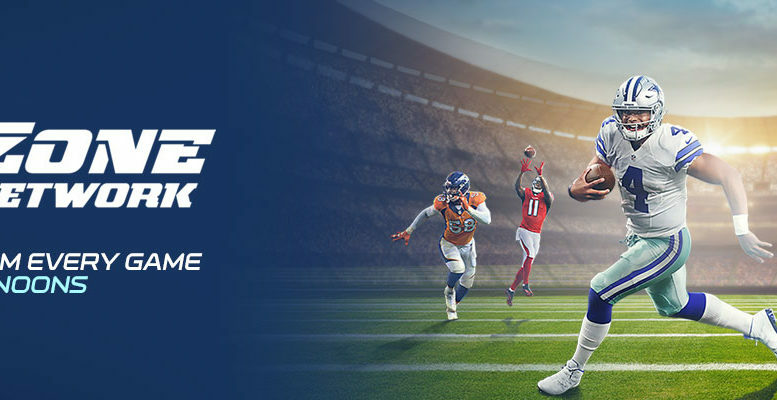 Red Zone Channel and its companion, the Fantasy Zone Channel, are the only two bonuses you get when you get the full “Max” package from DIRECTV, but they are absolutely worth it if you’re a true football fan. You are a true fan, right?